The DGOI and the Private Dentist Association Thailand (PDAT) have been cooperating successfully for many years. 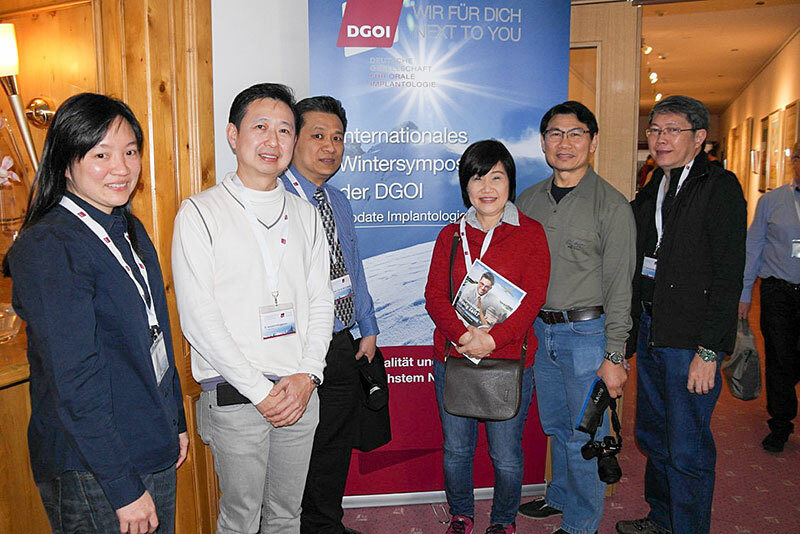 Just recently, Dr Narit Leepong Professor, assistant professor at the Prince of Songkla University, was a guest speaker at the 11th International Wintersymposium of the DGOI in Zürs/Austria, where he gave an impressive lecture on “Hard and soft tissue reconstruction in severe alveolar bone loss for dental implant restoration”. On behalf of the DGOI, it was President Dr Fred Bergmann who initiated the successful cooperation with the PDAT and Dr Thaweesak Suthatheerarat. Together, they developed a basic training programme in implant dentistry for Thai dentists and students of dentistry, according to the concept of the Curriculum Implantology “8+1” of the DGOI. A Thai-German Congress takes place in Thailand every two years.